Trusted by leading tour professionals around the world like Hideki Matsuyama, Graeme McDowell, J.B. Holmes, and Russell Knox, Srixon is a global leader in golf ball technology and innovation. With thousands of ball and material science patents related to sports equipment - R&D and quality product development are in our DNA. From tour performance golf balls with urethane covers to low compression ionomer cover balls for avid players to beginners alike – Srixon engineers for category-leading performance with every ball design. The tour performance Z-STAR XV, Z-STAR, and Q-STAR TOUR are multi-piece, urethane cover golf balls. Each provides tour ball flight and high approach and greenside spin. Higher swing speed players will opt for the Z-STAR XV or Z-STAR depending on feel and trajectory preference – the Z-STAR XV launching slightly higher and with a firmer feel. Moderate swing speed players (driver distance less than 250 yards) who seek tour-caliber greenside spin will benefit from the lower compression design of Q-STAR TOUR, which launches higher with less spin on driver shots without reducing greenside performance. The Q-STAR, Soft Feel, and Soft Feel Lady comprise the 2-piece performance line. These lower compression designs with ionomer covers offer a blend of distance, feel, and greenside control. Each model offers exceptional performance compared to competing models and tremendous value. Need your initials on the ball? Prefer a yellow golf ball? 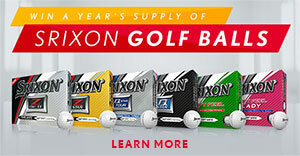 Srixon balls can be personalized and logoed. All models with the exception of Q-STAR TOUR are offered in multiple color options. Z-STAR XV, Z-STAR, and Q-STAR are offered in both Pure White and Tour Yellow. Soft Feel is offered in Soft White and Tour Yellow, while the Soft Feel Lady is offered in Soft White and Passion Pink. All Srixon golf balls are designed to the highest quality standards for consistency, performance, and durability and are backed by a customer-friendly warranty.